My love for cycling is pretty strong, but over the last few months colder I've found myself replacing my bike for the treadmill, or even, a warm sofa. Guilty. 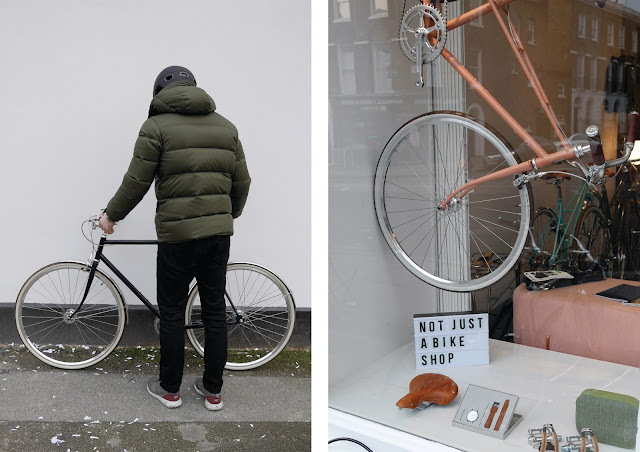 As my commute to work consists of descending two flights of stairs, I have less opportunity than I'd like, but my love of the two wheels was recently rekindled with a visit to the Freddie Grubb bike store, on Amwell Street in Islington, North London. 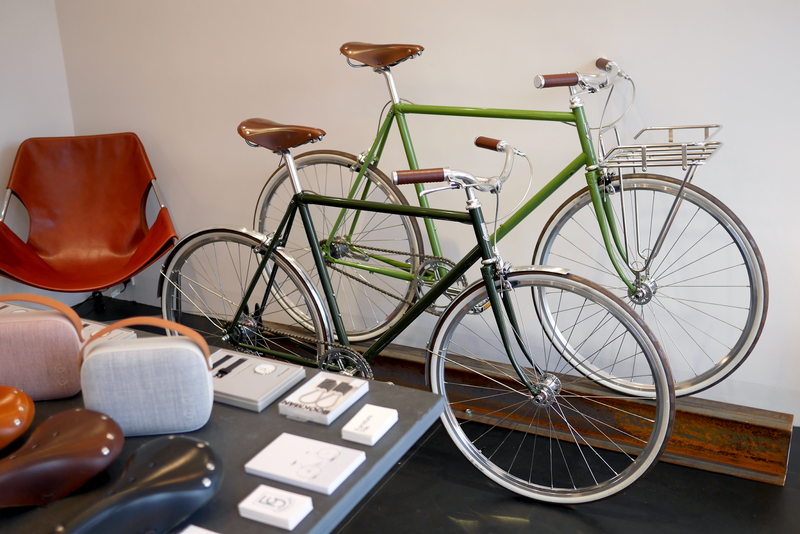 A contemporary bicycle company, started by a small group of friends, Freddie Grubb prides themselves the local construction of their products, a keen eye for detail, and most of all, products that they know people will fall in love with. 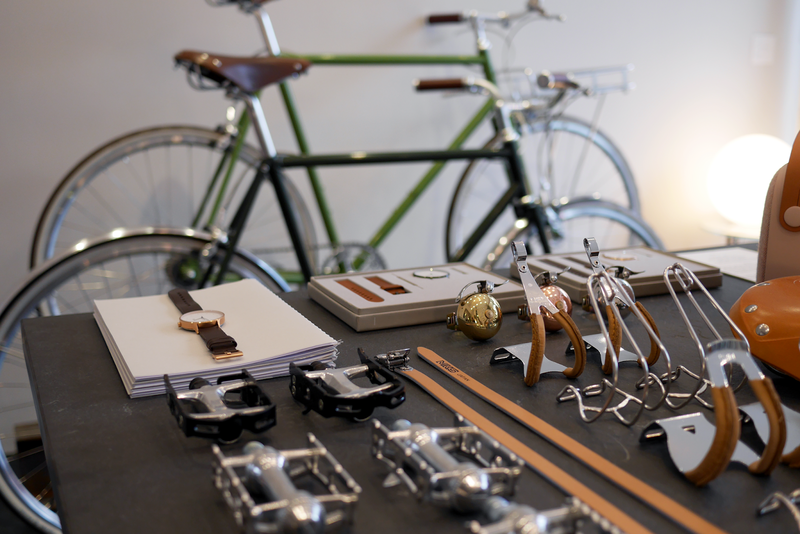 "Not just a bike shop", the team were keen to bring in a few other brands that they fit perfectly with the FG story; Scandinavian furniture, modern bicycle accessories and those watches by Instrmnt. Mat - First of all, could you explain where the idea of Freddie Grubb came from, what was the influence behind the brand and who's involved? 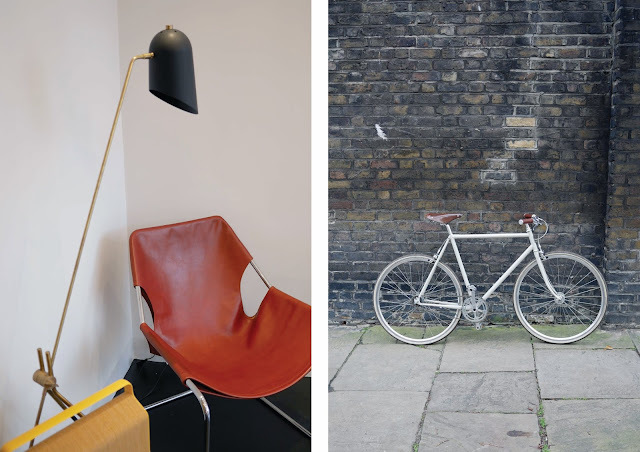 Jack Pattison, of Freddie Grubb - We love cycling and come from a background in design. We had introduced a Japanese bicycle brand to the market a few years ago but had long harboured a desire to design and produce our own bicycles, it was just a matter of time before we decided to go for it. The London cycling market is getting pretty saturated with relatively cheap and cheerful bicycles in the mid price bracket (£300-£500) We were keen to produce a product that wouldn't just look good in a showroom, something that would stand the test of time. 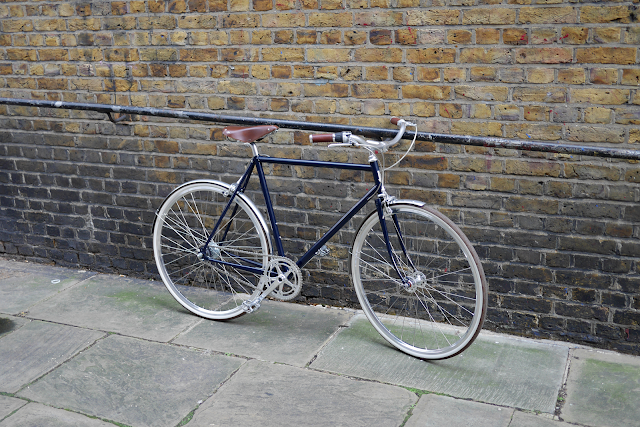 Our bicycles are handmade with high quality components and as we powder coat them in London they are available in a much broader range of colours and will change seasonally – we can also produce bespoke colours. Although our bikes are a bit more expensive we think we have produced a product that will genuinely appeal to customers who want a bicycle that is a cut above the rest in terms of style and quality. How has the reception been so far to the brand? We've been thrilled with the response so far, it's great when people understand what you're doing and why you're doing it. I think people are enjoying being at the beginning of our journey as a brand. We've also had some big press coverage which certainly helps when your a small business starting out. How hard has it been to set up a business within an industry that generally falls in favour of the big guys? By going against the grain and selling directly to customers, we have the opportunity to take full ownership of the brand and the service we provide. 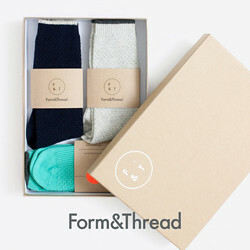 We can offer a much more personal approach than what you get from third-party retailers. Essentially, you're buying the bike off the person who designed it. Which we think is a nice touch. How did you choose Angel, Islington as an area to open up shop? And what else are we likely to find in the area? Well we're a little bit off the beaten track, but it was really important for us to find somewhere that was safe and enjoyable for people to test ride our bikes. Being in a nice conservation area means that our customers can cycle around Myddelton Square without the worry of traffic or busy roads. Amwell Street is fast becoming a destination for many people as it's a charming Georgian parade in a relatively residential area but is full of interesting independent shops. 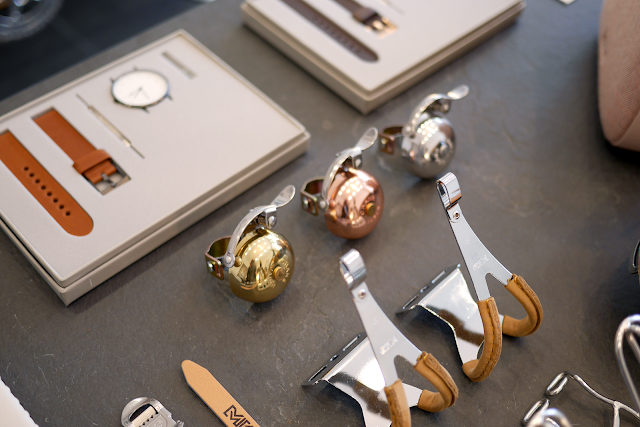 Our close knit neighbourhood includes the likes of Present & Correct, Country of Origin, Gents of London, Andrea Hawkes and Quill London to name just a few. We can clearly see you have some fine looking bikes, tell us a little bit about your bikes + other products. What kind of people have taken interest in them? 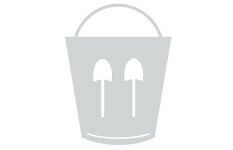 Designing a quality product, that was both stylish and practical was our main aim. Taking inspiration from traditional town bikes and modernising the geometry to suit todays cyclists. We've built up bicycles from vintage frames in the past and we love the process, but old bikes do come with their downfalls and not everyone is willing to spend the time and effort building and maintaining them. 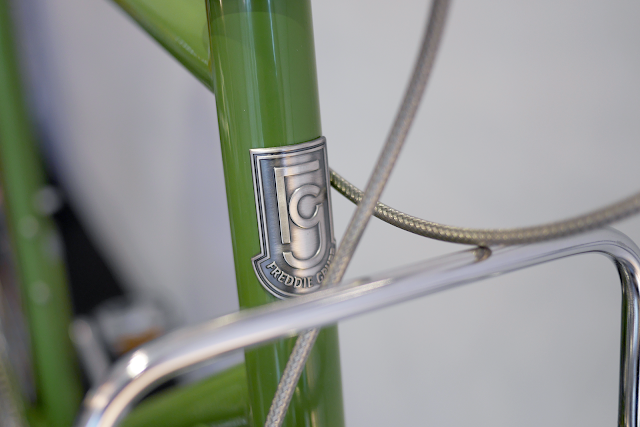 With our new Freddie Grubb bicycle models we can offer the retro aesthetic that so many people are after but with the added bonus of it being brand new and quality checked. The majority of our customers are people who see value in quality. The kind of people who pay a little extra for things because they care about the finer details and believe in products that have longevity. A bit like spending extra on a shirt because you've had enough of things shrinking after the first wash.
Tell us a little bit about the design process; choosing the frames, picking the colours, and any other little details we may have missed? Where are your bikes made? 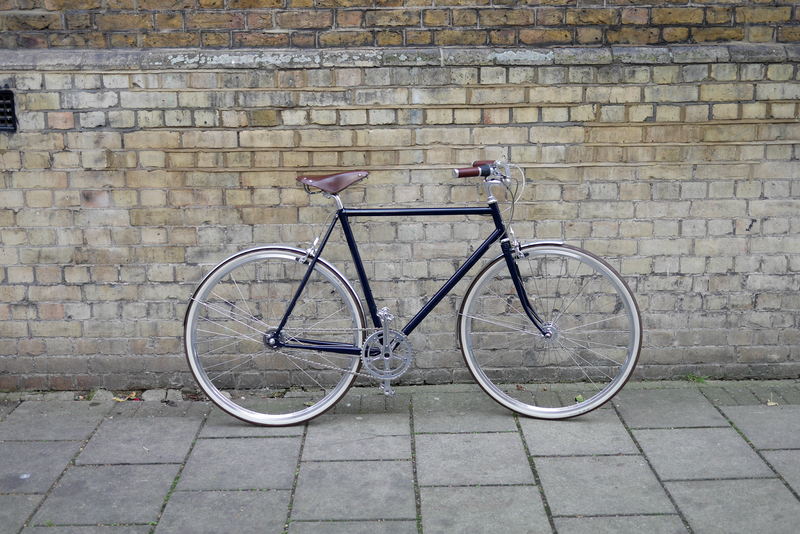 All our bikes are made-to-order, one by one in our Deptford workshop. 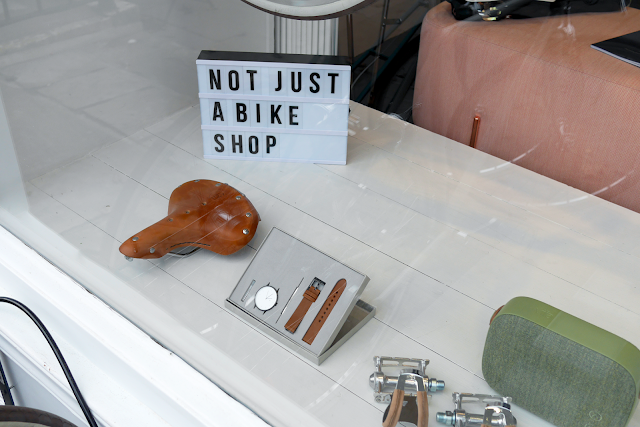 Customers come in to our Amwell Street store to get a feel for the bikes, take a test ride and go through the various customisations we can offer. 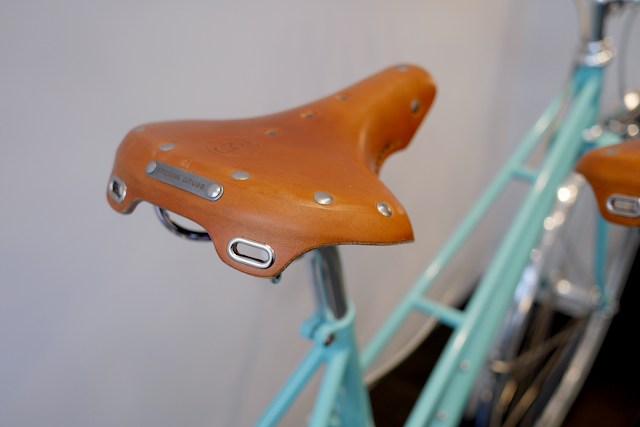 For instance, we have four custom leather colours that people can choose from for their matching saddle and grips – that's just one element out of a many others. When it comes down to it, it's the colour choice that people love to take the most time thinking about... From our experience, people will always end up going for the colour they were very first drawn to. When it comes the design process, it's all in the detail. Minimal branding, internal cable routing, hub gears and all the other details that come together to make sure that the ride is as comfortable, smooth and easy as possible. There's a reason why we chose every component on the bike but the list would go on and we'd no doubt bore you to death so we can leave that for another time. 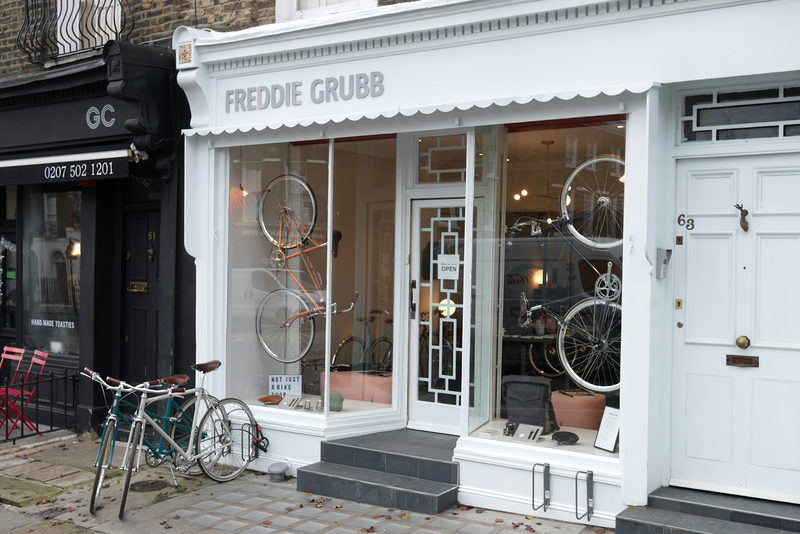 Visit Freddie Grubb - 63 Amwell Street, Islington, London, EC1R 1UR. 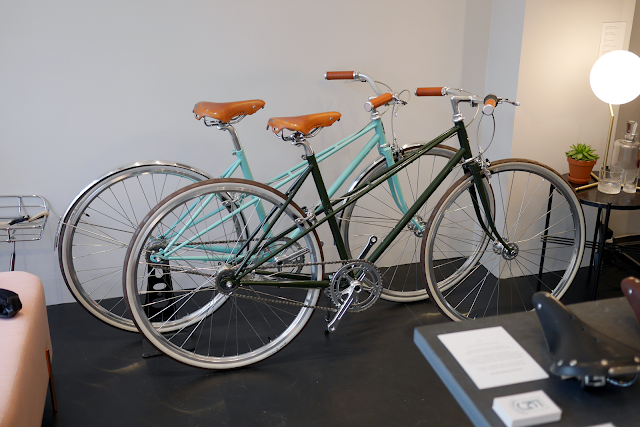 These bicycles are beautiful...I'm loving the design of the seat! As usual, awesome photography really complements a great post. Loving the interview style, a great way to get behind the scenes.